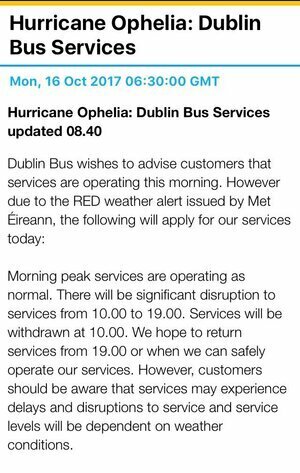 Dublin Bus announce all services are withdrawn between 10am-7pm due to Storm Ophelia. Posted in Misc and tagged Dublin Bus, Ophelia, Storm at 9:07 am on October 16, 2017 by Broadsheet. Stay safe everyone. I attempted the commute this morning. Eerily quiet and calm, and almost no one on the train. Unnatural. what time are you hoping to go home, millie? Before lunch. I’ll be sipping soup by the fire. Pull up a beanbag and get cosy lads. This is a false flag emergency. At least one of the so-called Met Eireann “experts” has an IMDd page! Explain that. This is an EU scam to force in water charges. Where are Zuppy, jusayinnothinglike, and other mindless rentagobs when we need them? @Warden, you’ve a fair gob on yourself. “Kettle calling pot black” etc. 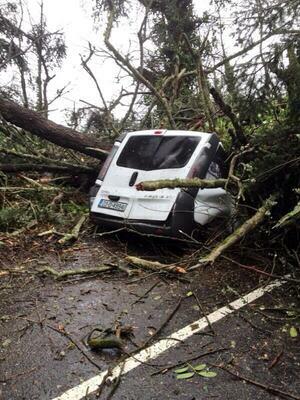 It’s a load of BS for the East Coast and Dublin. WWII was an “Emergency” too. Half of this damage stuff ‘ pan out. 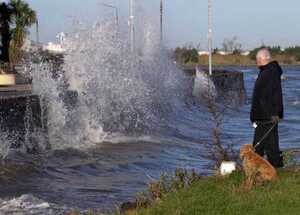 Met Eireann have been hiding behind Teresa Mannion’s hat for long enough. Day off work. The Luas platforms at Stephen’s Green were packed around 10:30am with people trying to get home. Luases were arriving, announcing services were suspended, and then departing EMPTY for the Sandyford depot, where everyone wanted to go anyway.